Vine for iOS has recently received a new update which brings new features & support for Apple Watch. Vine is the entertainment network where videos and personalities get really big, really fast. Watch videos that create trends, influence culture and make you laugh. Discover stories, characters and remixes you can’t find anywhere else. Be the first to hear incredible new artists and songs. 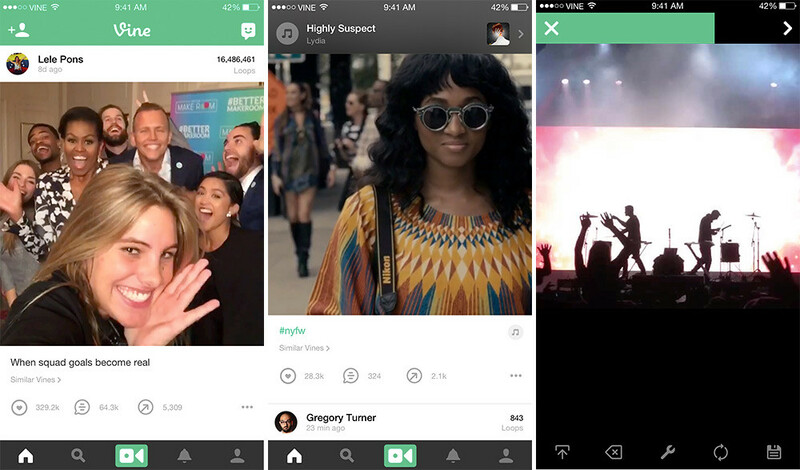 Remixes are an essential part of Vine, and we’ve made it easier to make and discover them. – Tap “…” on any Vine and select “Make an audio remix” to create a Vine using the audio from that post. – You can also find remixes faster. Tap the music note on a post to see track or sound info, and then tap the arrow at the top of your feed to see remixes with the same audio. You can now use Vine on your Apple Watch. – Watch posts from the creators you’ve selected as a Favorite, or check out hand-selected Vines in the “Featured” feed. – Like and Revine directly from the app. – Use our watch face complication to see your account’s total loops and quickly access the app right from the watch face. Hold firmly on the screen until you can select a watch face. Choose one with complications, then tap “Customize”, select the space where you want to see your account’s loops, and scroll through the various options until you reach “Vine”.